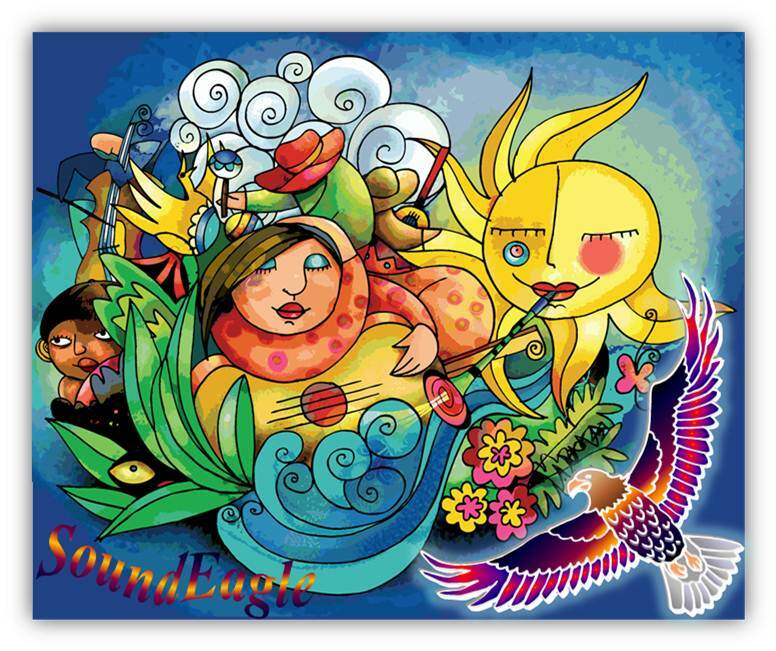 SoundEagle is a garden of art, science, poetry, music, video, graphics, cartoons, animations, games and puzzles in a beautiful, dynamically syndicated press containing posts, buzzes, events and social media updates. You have arrived at a garden of art, science, poetry, music and ideas, and landed on a platform that serves to connect diverse domains and to collect various strands of the interests and workings of SoundEagle. The garden has gradually become a reasonably fertile and multidisciplinary playground. Hopefully, it will always remain varied but consistent enough to entice and satisfy those who are artful and perceptive, those who delight in detail and texture, and those who resonate with the philosophical underpinnings and aesthetic approaches. Posts and pages will sprout from time to time in the garden. It is SoundEagle’s goal and pleasure that you find ample enjoyment and meanings in perusing those posts and pages, which, as you might have observed, tend to be polysemic, pluralistic and multifaceted, given that they often contain complementary prose, poetry, art, graphics, cartoons, animations, games, puzzles, music and video, sewn and strewn together synergistically as well as aesthetically, but whose denotations and connotations are left in your hands, in your eyes as a beholder, in your ears as an audience, in your mind as an interpreter, in your heart as a connoisseur, in your patronage as a reader, in your discretion as a fellow blogger, and in your whim as a free thinker. 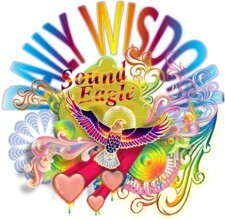 Please feel free to leave plenty of your footprints, to bare your soles and souls, to share your thoughts and feelings, to join SoundEagle on a special quest of empathy and consilience, via wisdom and understanding, through discovery and appreciation. 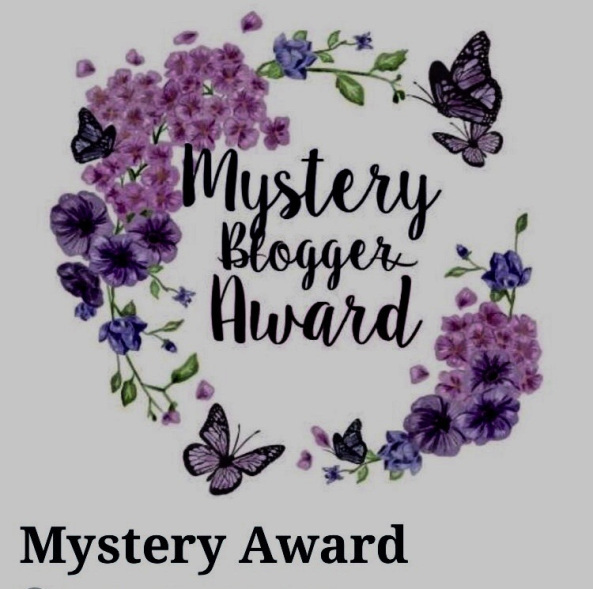 For those who have a playful or adventurous streak, your patience with wading through posts and pages will be rewarded by music and video as well as interactive games, puzzles and animations, all of which await your discovery and enjoyment. Web Design/Development, Webmaster Services, Website Administration, Graphics, Creative Writing, Technical Writing, Research, Document Editing, Translating, Musical Composition, MIDI Sequencing, Sound Editing, Music Theory, Music Analysis, Gardening, Horticulture, Jewellery Design, Beading, Indoor Decorating, Social and Behavioural Sciences, Natural Sciences, Environmental Sciences, Cosmology, Philosophy, Spirituality, Health, Education, Food, Fashion, Movies and Music. Designed and administered by SoundEagle, this website has served as a multimedia playground to investigate the polyphonic dance of ideas, to consider their manifold eddies, their unexpected simultaneities or juxtapositions, as well as their multiple embodiments and modes of expressions, as they unfurl through the lenses of plurality, the faces of diversity, and the facets of multidisciplinarity, intermingling from time to time, and topic to topic, with the semantic fields of culture, the speculative realms of philosophy, the aesthetic worlds of art, and the analytic spheres of science. Given that some of SoundEagle’s posts are fairly lengthy and laden with multimedia, attempts have been made to reorganise and tighten the structures and presentations in the hope that the website can load and display its contents faster. Should you like music accompaniment whilst browsing, you are free to enjoy listening to music composed and recorded by SoundEagle, on demand and to your heart’s content, insofar as the music will play continuously once it is manually started, until paused or stopped. Find out more at Festive Season and Faster Website. The pluralistic experiences offered to you in some highly entertaining multimedia posts and pages comprise beautiful and stylistic presentations of Text Art, Photos, Videos, Music, Computer and Web Graphics, as well as Games and Animations, many instances of which exemplify the malleability, permeability and cross-fertilization of ideas and cultures, whose fecundity, fluidity and visibility are often facilitated and enhanced by potent rendering tools, social media and emerging technologies, which have various implications for the modulation, transformation and documentation of procedures or practices, including blurring the boundaries of design, creation, interface and workflow, as well as facilitating the understanding of artistry through form, invention, interaction and information. Under these scenarios, this website has increasingly become a creative, thematic conduit through which fusion, experimentation, appropriation and transformation flow, and where reinterpreting, repurposing, recycling and reinventing can freely combine contrasting or opposing elements from the real and the imaginative, the mundane and the exotic, the popular and the esoteric, as well as the secular and the religious, the artistic and the scientific, whilst embracing the richly textured terrains and novel landscapes of the bespoke, unique, controversial or idiosyncratic. Not surprisingly, many traditionally straightforward hobbies and hitherto simple pastimes, including art, craft, gardening and photography, have taken on more heterogeneous characteristics as they intermingle with other domains and interests, becoming more infused with the purviews of other fields and disciplines. It is hoped that some of the offerings on this website can also serve as a bridge, conduit or crossing between the East and the West, between the laypersons and the experts, between the proven and the experimental, between the old data and the new findings, between the documented and the anecdotal, by way of judicious translation, edification, promotion and dissemination of information pertaining to the long cultures and traditions that have accompanied certain fields and disciplines and their ardent champions through the dynamic synergy of various pursuits and domains, including prose, poetry, art, graphics, cartoons, animations, games, puzzles, music and video. In turn, these fields and disciplines can become both catalysts and arenas for recognizing, (re)creating and (re)contextualizing various pursuits and domains with multiple reference points as a means of reflecting and communicating the current state of community and society, and as a way of fostering mutuality, reciprocity and complementarity. Understood in these terms, the value of certain fields and disciplines can truly begin to be appreciated and defined beyond the straightforward results and immediate implications of admiring, studying, developing and improving them, to the extent that partaking in these fields and disciplines becomes not just an attempt at, or a process of, accruing and capturing knowledge, but also a fruitful endeavour to use certain pursuits and domains and their myriad embodiments and representations as a means of expressing ideas, which are themselves products of instinct (nature), experience (nurture) and technology (tools), guided and shaped by principles and forms of knowledge. Give yourself one-click access to the contents of SoundEagle’s websites. Search SoundEagle’s websites whenever and wherever you are on the web. Connect with your friends and community through social media and networking features. Read the posts and headlines of SoundEagle’s websites. Click News 🗞 to see an overview of SoundEagle’s posts published under different categories to aid yourself in this journey with SoundEagle. Click Press 📰 to experience SoundEagle’s online presence in a beautiful, dynamically syndicated press containing posts, buzzes, events and social media updates. Click Weather 🌦 to check SoundEagle’s current and future weather condition and time zone. Click Where The Eagles Fly . . . . Art Science Poetry Music & Ideas💡💭 to see a site map containing menus and navigational links. Click 🦅SoundEagle in WordCloud☁️ and then click the image in the widget to access and visualize clouds of words showing what is trending. Click 🦅 SoundEagle’s Keywords 🔑📑 to fly into a cloud of keywords and categories. Click 🦅 SoundEagle’s Topics 📋 to fly into a cloud of topics and tags. Click 🦅 SoundEagle’s Main Menu 📄 to see the whole list of main pages. Click 🕯📖 Reading SoundEagle 🦅 and then click the image in the widget to see the whole list of posts with content previews. Click 🦅 SoundEagle’s Archives 📁 to locate posts or articles by a particular month of any year. Click 🦅 SoundEagle’s Categories 📑 to find posts published under different categories. Click 🦅SoundEagle’s Search Engine🔍 to search posts and pages by keyword(s) or phrase. Click 🦅 SoundEagle’s Top Posts and Pages by Views 👁 to know which posts and pages are popular by views. Click 🦅 SoundEagle’s Top Posts and Pages by Likes 👍 to know which posts and pages are popular by likes. Click 🗃📂 Most Recent Posts 📬📅 and 🗣💬 Most Commented Posts 📫👨‍👨‍👧‍👧 to see a list of the most recent posts and/or a list of the most commented posts. Click 💬 Conversing with SoundEagle 🦅 to see a list of the most recent conversations with SoundEagle. Click ✍️ Authors & Recent Posts 📝 to see SoundEagle’s authors and a list of the most recent posts. Click 🗣📟 Translating SoundEagle 🦅 and choose from the list of languages in the widget to automatically translate SoundEagle’s website content into any of the 100+ languages supported by Google Translate. Click Contents 📃 to view a full list of all the pages and posts published by SoundEagle. 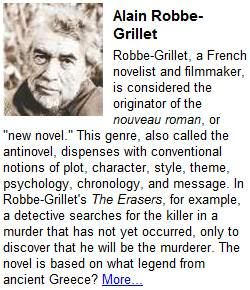 Thumbnails, excerpts and dates of publication are provided. Click Posts 📑 to view a summary list of all the posts published by SoundEagle. Click Random Post 📃 to take pot luck and read a random post published by SoundEagle. Click Folio 🗂 to preview and visit SoundEagle’s websites and blogs concerning gardening, horticulture, realty, investment or multi trading. Click Websites 🖥 to preview and visit a wide range of SoundEagle’s websites, blogs and social media. Click 🦅 SoundEagle’s Gravatar to view SoundEagle’s Gravatar, to contact SoundEagle, and to visit SoundEagle on LinkedIn, NetworkedBlogs and Google+. Click 🦅 SoundEagle’s Profile to view SoundEagle’s profile and verified services. Click 📡🔭 Finding SoundEagle 🦅 to view SoundEagle’s About.Me profile, web links and social media. 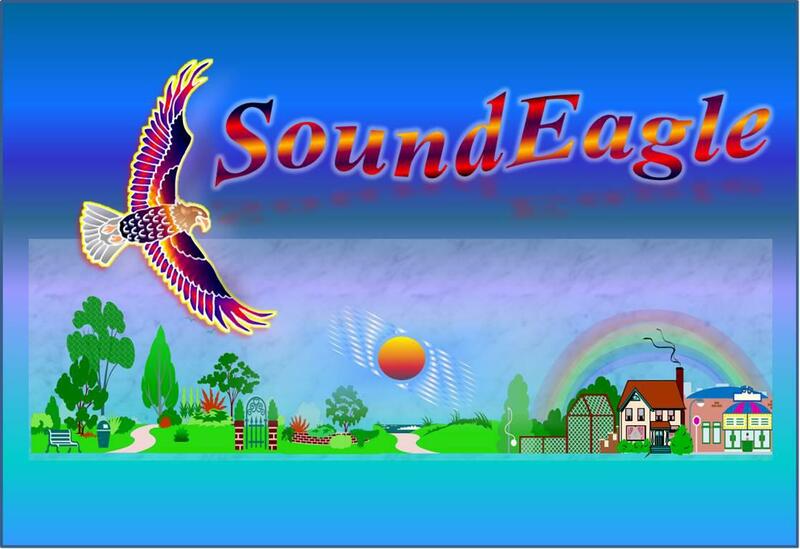 Click Follow @Sound_Eagle to follow SoundEagle on Twitter. Click 🦅 SoundEagle on Twitter 🐦 to access SoundEagle’s Twitter updates. Click Favourite Tweets by SoundEagle🦅 to browse twitter feeds that raise SoundEagle’s interest or attention the most. Click 🦅 SoundEagle’s Social Media to visit or befriend SoundEagle at your favourite social media. Click 🦅 SoundEagle on Facebook to visit SoundEagle’s blog on Facebook. Click 🦅 SoundEagle’s Community 👨‍👩‍👧 to see some of the likers, commenters and followers of SoundEagle’s website. Click 🖥 Blogs Followed by SoundEagle 🦅 to visit some of SoundEagle’s favourite blog(ger)s on WordPress. Click 📃 Posts Liked by SoundEagle 🦅 to peruse SoundEagle’s most recently read and liked posts composed by fellow bloggers. Click 🦅 SoundEagle’s Original Music 🏞🎼🎶 to access and rate music composed by SoundEagle in widgets. Click 🦅SoundEagle in SoundCloud🌬 to visit SoundEagle in Art, Music and Compositions about New Sensations, Love, Life, Country, Nature, Dreaming, Meditation and Spirituality 🏞🎼🎶. Click 🦅 SoundEagle’s Original Music Poll to vote for music composed by SoundEagle. Click Music 🏞🎼🎶 (in post format) or Music 🎹 (in page format) to learn more about SoundEagle’s art, music and philosophical ethos. In your web browser, you can open a new tab or window to visit SoundEagle’s website and turn the music on, then return to existing tab(s) or window(s) to resume your online matters. This will allow you to listen to SoundEagle’s music whilst doing something else. Of course, a set of great headphones or speakers would be highly desirable. Click SoundCloud 🎧, MySpace 🎤, Music Visualization 🎼 and Interactive Generative Art 🖼 (in post format) or SoundCloud 🎧, MySpace 🎤, Music Visualization 🎼 and Interactive Generative Art 🖼 (in page format) to access SoundEagle’s music on some contrasting musical platforms and to enjoy recorded musical animations generated in real-time. 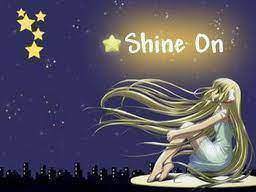 Click Play Relaxing Music to SoundEagle for Hugging You with·LOVE 💖🦋 to select and listen to some relaxation music and use the timer to set how long the music will play for. Apart from providing soothing background music, this sonic feature can definitely be a useful boon for yoga, relaxation and/or meditation sessions. Click 🦅 SoundEagle’s Favourite Books📚 to see a list of those books on GoodReads. There are just a few at the moment and more will be added as time permits. Click 👽🛸 BZ Cartoon 🙌👾 and Humour 🤗 to enjoy witty cartoon animation, slideshows and comical graphics. Click 📰 Daily Dose of Wisdom 🦉 (in widget format) or Daily Dose of Wisdom 🦉📰 (in page format) to learn about Word of the Day, Quote of the Day, Article of the Day, This Day in History, Today’s Birthday and What’s In the News, plus the opportunity to participate in creative writing (challenges) daily, whereby authors of noteworthy or exceptional entries can receive the SoundEagle Daily Wisdom Award. 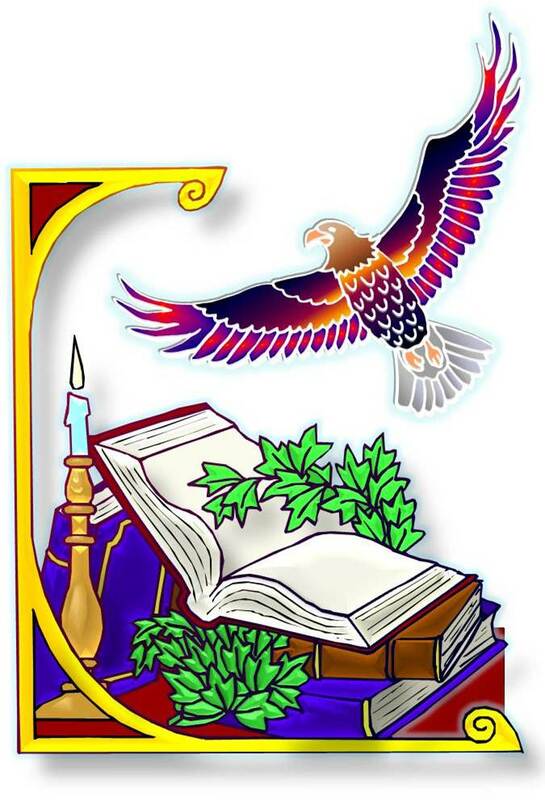 Click 🦅 SoundEagle Appreciation Award 🎖 (in post format), or Awards 🥇 (in page format), or 🦅 SoundEagle’s Awards (in widget format) to learn more about the awards received and dispensed by SoundEagle, and about how to use Award Badge and Award Post. Click Award Posts to see a list of all SoundEagle’s posts pertaining to awards. Click 🖥Blog Statistics on SoundEagle🦅 to see the total number of visitors viewing SoundEagle’s current blog. Click 🇦🇺Flag Statistics on SoundEagle🦅 to see the total number of visitors by country viewing SoundEagle’s main blogs since 10 July 2012. 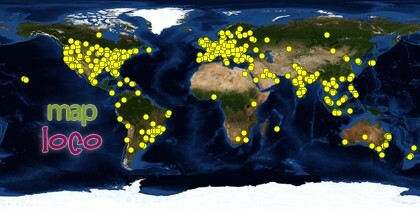 Click 🗺Map Statistics on SoundEagle🦅 to see the locations of visitors viewing SoundEagle’s current blog on two global maps: one since 25 August 2012 and the other in the past 24 hours (updates: these two maps seem to have ceased working properly). The third map shows the number of pageviews for the current month. Click the maps to see further details. Click Website Statistics 📊 to see SoundEagle’s annual reports, global map of visitors, top views by country, and most linked content. Click 👆 Top Clicks at SoundEagle 🦅 to see the most recently clicked links in the last 48 hours. Please note that many of SoundEagle’s posts contain music, videos, puzzles, games and/or interactive animations, all of which are absent from the corresponding posts emailed to followers as notifications, which can contain only texts and images. Therefore, it is necessary for followers and readers to visit SoundEagle’s website to enjoy all the multimedia features. Click RSS ― Posts to subscribe to SoundEagle’s posts by RSS. Click RSS ― Comments to subscribe to SoundEagle’s comments by RSS. Click ❄Follow SoundEagle 🦅 by RSS to subscribe to SoundEagle by RSS. Click 🛍💱 Rewarding SoundEagle 🦅 to assist in the costs of improving and maintaining SoundEagle. 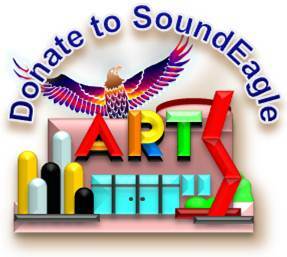 This feature was first prompted by a visitor wanting a ‘Donate Button’ to donate to SoundEagle. The visitor’s comments can be read in the post entitled Greetings!. May you find the time and interest to frequent those websites, and befriend SoundEagle there. It is my honor to welcome and salute this unique blog with its interesting and very unique content. Wish you the best in your future endeavours! SoundEagle is grateful and appreciates the encouragement from a blogger and writer, the esteemed Arlen Shahverdyan, who has done much to raise awareness on a variety of issues diligently and consistently over the years through his personal blog and his caring interactions with people and friends online and offline. As far as SoundEagle knows, he is a person of fine spirit, a human being of admirable integrity and reciprocity. And SoundEagle looks forward to reading your thoughts and comments after you read SoundEagle‘s posts, both existing and forthcoming ones. Thank you! 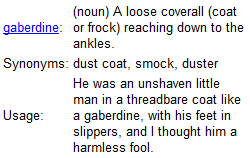 As you read, SoundEagle just added the phrase “in your mind as an interpreter”. Please feel free to suggest improvements or ideas for my blog, Dr Youssef. You are very welcome, Ralph. Thank you for visiting and commenting, which are much appreciated. By the way, SoundEagle has just created a new page entitled Quotes. Enjoy! Hi SE You can trash this reply. I am not getting on at you or Elisa but I felt that there was in issue with Elisa against you. I have deleted the thread. I do not like the way Elisa talks to anybody inc. me. I hope we can be friends and if Elisa jumps in like that again it will be trashed immediately. You are welcome to comment in my blogs. I welcome them. Friends? You can email a reply if you wish on my gravatar. Hello Ralph! SoundEagle went to bed and just woke up from a few hours of beauty sleep. It is a pity that she could not appreciate and benefit from us and our interactions. Let SoundEagle blow on your smacked hand once more . . . . .
You are so funny!! Do I know any Princesses that would do such a thing to me? Ummmmm!! Failing that, an avian friend will live long enough to descend upon you, as the beak of an old and tired SoundEagle might just suffice about five decades from now . . . . Thank you very much for visiting. SoundEagle looks forward to your presence and patronage. Hello Sound Eagle, thank you so much for visiting my blog. 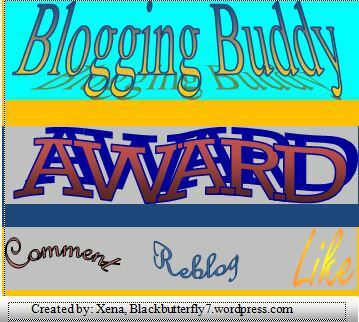 Your blog is amazing, so many things to read and look at and think about! Thank you for flying over to browse, my avian friend. SoundEagle hopes to benefit greatly from your words of wisdom along the way as you discover “so many things to read and look at and think about”. 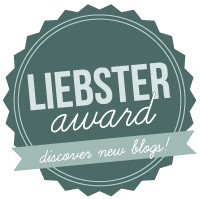 Beautiful and creative blog! The artistic factor is awesome!! Looking forward to checking out many other posts in the future!! 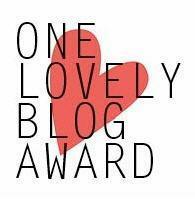 And showing others your incredible blog! Thank you very much for complimenting SoundEagle on the aesthetic quality of SoundEagle‘s website. SoundEagle is grateful and delighted that you appreciate the art and design at https://soundeagle.wordpress.com, and that you find SoundEagle‘s blog worthy of being recommended to your friends. 🙂 Let’s hope that they too will discover and enjoy useful or appealing aspects of the blog. Thank you, Gina, for visiting, liking and commenting on this page. When you book off the special day to visit my blogs, may you have plenty of fun and adventure! On that day, if you would like us to interact in real time via the WordPress commenting system, please kindly inform SoundEagle in advance. 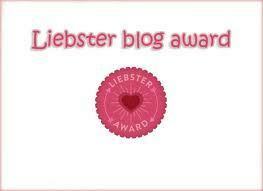 I have nominated your blog for the Liebster Blog Award. An Eagle uses the wind as an extension of itself giving lift and an ever changing perspective for its Eagle-eyed observation. There is no separation between an Eagle and it’s world. The world is the Eagle, the Eagle the world. Hunger is the impetus for action and bird becomes a missile that rarely misses its target. But sometimes even Eagles miscalculate and a Sound Eagle has to be Master of both the breath coming in and the breath going out. Not doing, not reacting is also a calculated activity when practised by the wise. Thank you for your comments on Dragonshades and your Elephant story. I have not published the comment on the About page although I appreciate your explanation. Being aware that we all have our own perspective is the first step. Being aware that we can never fully understand the perspective of another is step two. Accepting that we all are doing our best seeing the world from our own perspective including the mistakes we make while doing so is a great gift to ourselves. The Blog designers in their wisdom have given us the power of choice to receive, accept,reply or trash a comment. There is a fifth option and that is to cherish the comment without publishing and keep it in our files to reread at a later time when we have a deeper understanding.. This is a luxury situation within Blogworld that is not always so easy in daily life. Thank you, windhound, for sharing your kind words, deliberation and wisdom. Hi Louise! It has almost been five years since we last communicated here. Before January ends and February starts, SoundEagle would like to wish you, somewhat belatedly, all the best that 2018 can bring with a very special poem published in the post entitled 🎊 Season Greetings from SoundEagle: Merry Christmas, Happy New Year and Joyful Holiday 🎄🎅⛄. A special blog. Congratulations. Previously could not enter. Thank you, Carlos, for your visit. Please continue to enjoy, discover and critique whatever you may find here, and there will be even more unusual and multidisciplinary contents to come . . . . . Thanks for stopping by to visit. I like your blog. You are welcome! Thank you for your compliment. SoundEagle hopes that you will return to enjoy the contents of this blog from time to time. Happy March to you! Hello Nurture from Rafferty’s Rules! SoundEagle would like to congratulate you for still blogging copiously after nearly five years, often featuring posts in the format of “Top Ten things that…”. You are really quite fond of music videos on YouTube. Given the time of the year, SoundEagle would like to wish you, somewhat belatedly, all the best that 2018 can bring with a very special poem published in the post entitled 🎊 Season Greetings from SoundEagle: Merry Christmas, Happy New Year and Joyful Holiday 🎄🎅⛄. 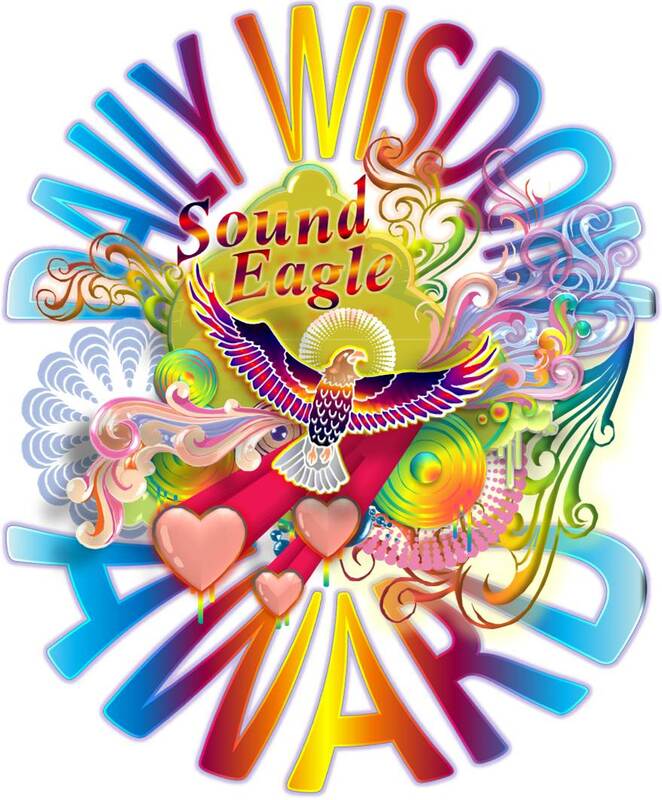 To follow SoundEagle and receive notifications of new posts by email, •´♪♫.♥.• Click Here to Follow SoundEagle •.¸¸.•.❤.•. Thank you for visiting LIfe As a Wave. I look forward to staying connected! You are very welcome, ~~~S Wave~~~. SoundEagle has subscribed to your blog (possibly becoming your 100th follower) as well as visited and liked a number of your posts and pages. May you always find something useful, entertaining, inspirational and/or insightful whenever you visit SoundEagle’s website, where your feedback and comments will be appreciated. Cheers! Hi Dr Phillip L Scheldt, thank you for your visit and advice. Pressing the “Ctrl” and “End” keys on the keyboard is a very quick and easy way to jump to the bottom without having “to scroll down to the NETHERLANDS”. To jump to the top, press the “Ctrl” and “Home” keys. SoundEagle has visited your website and find http://scheldt.us/Page_5.html very insightful, revealing and comprehensive. Should you require SoundEagle‘s assistance or expertise in porting to or establishing a new website or blog, please feel free to contact SoundEagle. wow! this is something else!! is one person generating all of this? Yes, there is just one SoundEagle “generating all of this” for your pleasure. 🙂 Enjoy as much as you like and happy April to you! 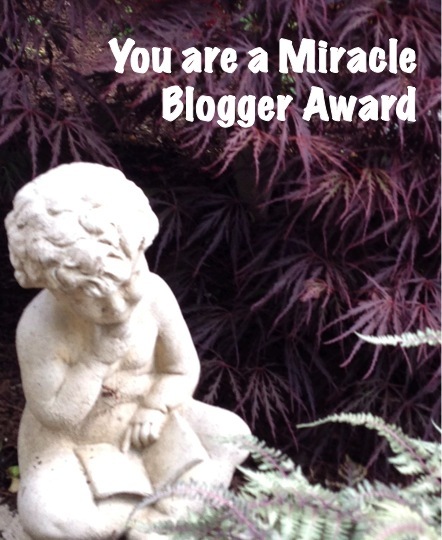 I want to thank you for visiting by blog…myuniquedesigns. You are very welcome. Thank you for visiting mine. 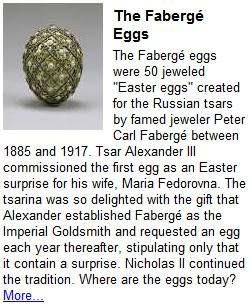 May you find something worthwhile and enjoyable during your visit! Hi Salvatore, thank you very much for your visit and compliment. SoundEagle is also delighted that you will return to interact with SoundEagle later. In a relatively short time, you have established a very nice blog featuring poetic writtings and new-age spirituality beyond a personal god and organized religion, as well as the lovely music “Prema Shakti – Pulse of Love”, plus a new Facebook page showing some jewellery and inspirational photos and quotes. Well done! Thanks for liking our blog. God bless you. You are welcome, Marwyn. SoundEagle is currently working on a special post, which will contain Art, Graphics, Poem, Music, Video, Game and Puzzle. Please follow or subscribe to SoundEagle to be notified of new posts. Happy April to you and your family! Great creativity and thanks for visit my site. Cheers! You are very welcome. May your website be a great success and improve in leaps and bounce! 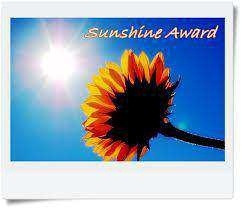 Thank you, Kitty, for the nomination and recognition of SoundEagle’s blog with the Shine On Award. SoundEagle is delighted that you find this website and its styles and/or contents to your liking. It is often very hard to find enough time and energy to blog with original contents. SoundEagle wonders how you are able to publish a great number of posts on a regular basis, and hopes that you could kindly shed some light on this matter. Thank you in anticipation. Thank you, Michael, for your compliment. SoundEagle has just finished composing a very long reply to an excellent comment left by a follower for the somewhat comic and humorous post at https://soundeagle.wordpress.com/2013/07/13/soundeagle-in-debating-animal-artistry-and-musicality/. Please enjoy! Ha, this site is trippy, I love it. Can’t wait to explore more here! Thank you and please enjoy to your heart’s content! Wish you all the best in all your projects. I’ll drop by from time to time. Hi belsbror, SoundEagle wonders what auspicious wind has brought you over here to leave plenty of “Likes” finishing with your current feedback. Thank you. Are you in pursuit of intellectual, multimedia and multidisciplinary stimulations or lively interchange of thoughts and ideas? If so, there are some very engaging discussions in the commenting sections of many posts and pages, in which SoundEagle would like to encourage you to participate. The way you wrote your goals, apart from having spend 15 minutes looking at the dictionary trying to find out what most of the words meant, is the best well put About page I´ve read. Happy November to you, charlypriest! SoundEagle is both honoured and delighted that you considered it worthwhile to consult the dictionary for a quarter of an hour to understand the contents and “goals” as you perused this “About” page, of which you have such a high opinion. Please feel free to visit and rummage this multimedia blog and multidisciplinary website to discover an assortment of prose, poetry, art, graphics, cartoons, animations, games, puzzles, music and video. SoundEagle hopes that you will find both the visual and sonic arrangements to your liking and fascination. My visual and sonic arrangements are to my liking fascination. Screwby-that´s a word, not quite sure what it means but I like the sound of it. This is a very impressive blog. It is hard to create a blog that has so many separate branches; however, the significant consideration you put into each category helps maintain relevance for every field. Also, your organization of this blog makes it easily manageable for newcomers such as myself. You blog is great for those that want more than the typical afternoon break — your blog clearly promotes thought. I really mean this, as reading your “Soundeagle’s Writing Guidelines” post reminded me of being in my Academic Writing class at UCSB. There is one suggestion that I have for the blog, though I would understand if you prefer to disagree. Each individual post contains a lot of information. For example, the quote page had many interesting quotes rather than just one or two. This is usually fine, but sometimes, it can detract from the power of something that deserved to be given more attention. Hopefully the reader does spend enough time to thoroughly contemplate the messages of such content, but it is not guaranteed they will even look at more than half of them before they become lazy and quickly read through to get to the end. Also, I am sure you know this already, but it can take while to load some of the pages. Thanks for reading my blog, and good luck on the continued success of the Soundeagle blog. Happy holidays! Hi Cameron, SoundEagle is delighted that you have taken the time and care to review this blog, which you consider to be “very impressive”, whose organization “makes it easily manageable for newcomers”, whose contents “clearly promotes thought”, and whose Writing Guidelines hark back to your “Academic Writing class at UCSB”. The subject matters are (inter)related, expansive, complex, holistic, multipronged, multimodal, multifaceted and/or multidisciplinary. The fragmentation, truncation or division of certain contents is undesirable. Additional benefits and depths can be gained from holism, synergy and interactivity where the whole is more than the sum total of its parts. Page loading time can be a significant factor until WordPress can implement smart caching or AJAX technology such that loaded widgets are not reloaded. In any case, judicious formatting with headings, subheadings, paragraphs, lists, graphics and illustrations as well as integrating multiple components and interfaces to achieve a stylish and consistent design should greatly increase clarity as well as readers’ attention (span) and retention rate. Hello Sound Eagle– never have I had so many likes in one hour on my posts! I had to follow those breadcrumbs back here to see who was such a fast reader! 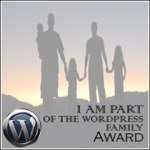 You have an unbelievable blog here rich with entertainment, enrichment, empowerment and enlightenment! Thank you for following me this evening. Hi Little Miss Menopause, it is delightful that you have picked up the trace of SoundEagle‘s visit by following the long trail of “Likes” left on your wonderful blog full of excellent posts with provoking and titillating accounts. Thank you. Thank you for observing and appreciating SoundEagle‘s diverse presentations of intellectual, artistic, multimedia and multidisciplinary posts and pages on this blog via some lively intermixing of arenas, thoughts and ideas, in which you are always welcome to participate. For example, if you like and excel in the Daily Writing Challenges, there is a new and different kind with more creative potential and associative freedom at https://soundeagle.wordpress.com/2013/09/07/daily-wisdom-word-quote-article-history-birthday-and-news/ (or https://soundeagle.wordpress.com/news/daily-wisdom/), not to mention the chance to net yourself a special, eye-catching SoundEagle Daily Wisdom Award batch designed by SoundEagle. Enjoy! Thank you for stopping by Stephanie’s and Liking my comments. I am glad that you “introduced” yourself in that way so I would meet you here. I am fascinated by the design of your blog. I look forward to looking around. I love your colors and graphics. I am inspired by how you pushed the limits of wordpress.com. I appreciate your generous sharing. Hi WeaverGrace, SoundEagle is delighted that you considered it worthwhile to comment on your visit to this “eyrie” whose design, colours and graphics appeal to you and your senses. 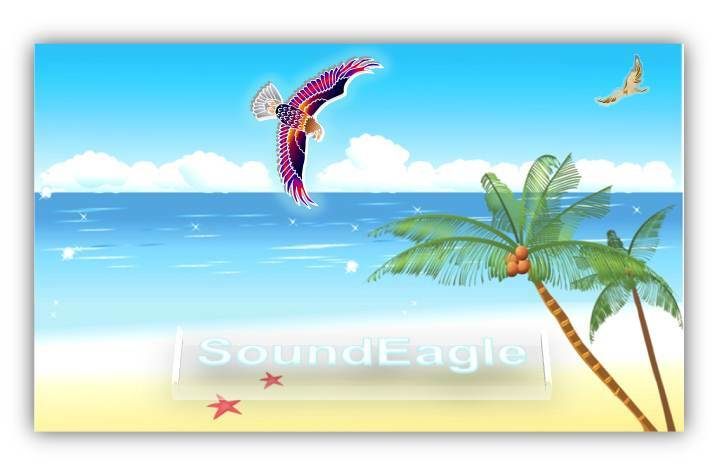 Yes, you can actually play games and puzzles in SoundEagle’s main website, as well as listen to original musical compositions in several ways, including music synchoronized to computer-generated animations. Please enjoy the website! SoundEagle looks forward to your feedback and to interacting with you at one or more of these websites. 🙂 If you like and nurture your proclivity for deep reflections and poetic sublimations, SoundEagle hopes to have the pleasure and honour of your visits to and comments on some of SoundEagle‘s posts and pages, especially if you like multimedia, multiplicity and multidisciplinarity. May you have a Joyous Festive Season and a Happy 2015! If somebody was to ask me now, “Do you believe in love at first sight?” I would respond with a big direct YES coz you made me fall in love with your blog at once Soundeagle! I love the way you write and you have a great sense of humor. And your blog both astounds me and makes me wanna read more! My favourite thought ” In life, never stop dreaming coz it’s in Dreams that we never stop Living.” I really want to make our world a better place. ‘The Invictus Soul is all about making ourselves unconquerable. Because we’re all Breathing but not everyone is Living! We gotta believe that we ARE different and that we ARE special. Be the change and the world will change for us. It’s never too late! 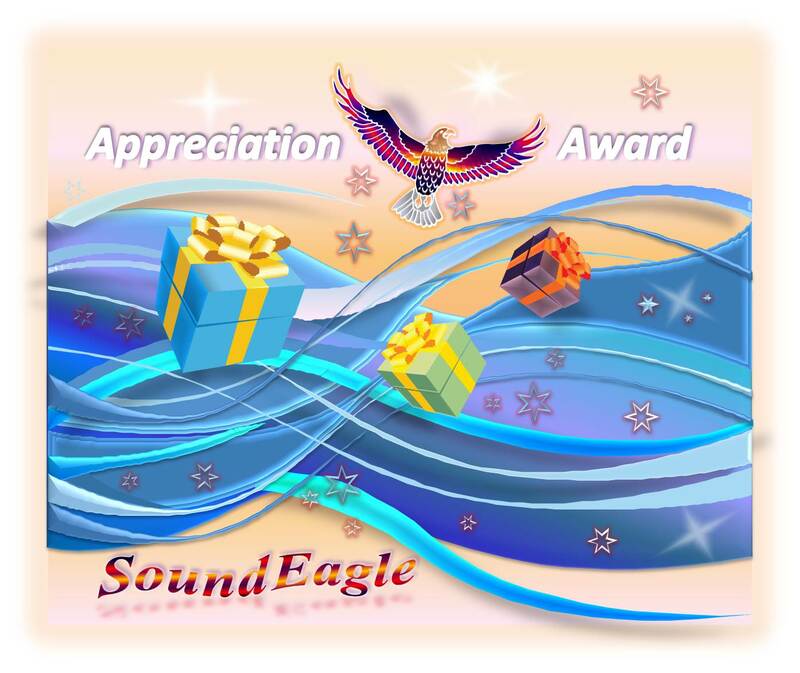 Please follow the link to receive the SoundEagle Appreciation Award. Congratulations! I’ve just received a run of expressed “likes” in my notifications box and sent under your name – so, I am just dropping a note to say thank you. First, thanks for liking my comment at another’s blog page. Second, there seems to be a lot to see here so will check maybe later. Third, where’d you get that rotating award cube? ’cause I’d like to ask permission to use it. So cool!!! May you have a prosperous year of 2015! Hi J.Gi! 🦅SoundEagle hopes that the End has continued to Justify the Journey for you in your “effanineffable universe in a nutshell”, and that you will visit 🦅SoundEagle once in a while to discover, experience and comment on many more elements and ideas as well as styles and contents that are even more fascinating than the “rotating award cube” that you saw on this webpage. You are very welcome, J.Gi! your have a very colourful and creative blog ! Hi Steve! I left two comments on your post entitled “A Day Of Loving” in celebration of Valentine’s Day and as a response to your post there. For some reason, at least one of the comments just disappeared after I submitted them. Please check your Discussion Settings and also Comment Moderation. When you visit those two webpages, you are very welcome to leave your comments there. May you enjoy my poems and graphics as well as other contents there! I made a couple of changes to the settings, but I write this blog in connection with my church. And while they invite short, responsible comments, they make some suggestions as to the control of all comments…Thank you for the information. Pleased to meet you. I’m very glad you located my site. Likewise, GP Cox! How have you been? Please feel free to indulge yourself in the multimedia contents of 🦅SoundEagle’s multidisciplinary website from time to time. Intelligent and creative place here! All the best! Hello Mathias! Thank you for your visit and compliment. 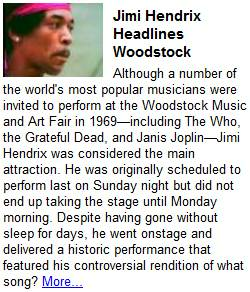 Were you able to listen to the music as you browsed the current page here? Apart from music, please be informed that you might need to use a desktop or laptop computer with a large screen to view the rich multimedia contents available for heightening your multisensory enjoyment at this website, which could be too powerful and feature-rich for iPad, iPhone, tablet or other portable devices to handle properly or adequately. Also, if you would like to see and use animations and/or games on certain posts and pages on this website, then your computer or mobile device must be Flash-enabled. Otherwise, you will see only static images where those animations and/or games would have appeared to engage you in a variety of styles and contexts. Hi! Thanks for the info. Yes, I could look around a bit and enjoy, for example, “Where The Eagles Fly.” This one had a quite meditative effect on me. Your website is a vast and diverse garden that takes more time to explore fully. So, I will come back:-) Take care. Thank you, Mathias, for conferring your positive feedback on 🦅SoundEagle, who, as a result, is both delighted and encouraged to have further opportunities to interact with you. It has come into 🦅SoundEagle’s awareness that you have a special appreciation for, or an affinity towards, the meditative quality of the musical composition entitled Where The Eagles Fly, and that you have taken the time to visit 🦅 SoundEagle in SoundCloud: Art, Music and Compositions about New Sensations, Love, Life, Country, Nature, Dreaming, Meditation and Spirituality 🏞🎼🎶 (in post format). Thus, it would be 🦅SoundEagle’s pleasure to inform you that Where The Eagles Fly can be both musically and visually experienced at 🎇 Dynamic Visualization of Music as New Sensations Where The Eagles Fly: Animation in High Definition on Large Screen 💻🎼🎆. In addition, should you be interested in the detailed and multipronged discussions between 🦅SoundEagle and 🐢SeaTurtle about certain compositional elements of, and listeners’ reactions to, the music that you have auditioned so far, then please kindly visit the comment section of SoundEagle in SoundCloud 🌬🎧 (in page format), where you are very welcome to read and join our discussions. Hello Mathias! Please be informed that your blog seems to be not accepting comments. 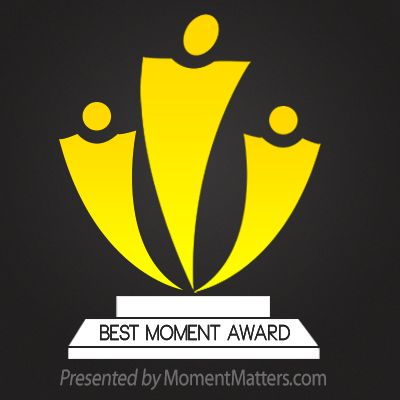 Your excellent post entitled “Why People Justify Social Systems That Disadvantage Them” was visited and read by SoundEagle🦅, who attempted to respond with a comment that the special post entitled “🦅 SoundEagle in Best Moment Award from Moment Matters 🔖🏆” contains certain videos and discussions about some issues similar to those uncovered by System Justification Theory (SJT). I look forward to reading your blog, it looks and sounds captivating. There is a little bit of something for everyone. I have a lot of catching up to do with your blog. Thanks for the follow and for your kind words. Hi grevisangel73! Before January ends and February starts, SoundEagle would like to wish you, somewhat belatedly, all the best that 2018 can bring with a very special poem published in the post entitled 🎊 Season Greetings from SoundEagle: Merry Christmas, Happy New Year and Joyful Holiday 🎄🎅⛄. The occurrence and the nature of wars and conflicts invariably raise more questions than there are answers. As Jane Goodall found out, our closest relatives, the chimpanzees, also wage wars against each other. According to some estimates, the largest global trade is the sale of arms and weapons. I concur with the many cogent points and critical issues raised by Grevisangel73 in the post. In addition, I applaud the author for the wise and judicious choice of concluding the post with some excellent and pertinent quotations, which echo and encapsulate the wretchedness of war, violence, tribalism and jingoism quite well. Hence, SoundEagle would like to introduce you to a post entitled The Quotation Fallacy “💬”, which can firmly constitute excellent food for thought as well as a splendid guide for living a more examined life. May you find The Quotation Fallacy “💬” as enjoyable as it is edifying! Hi Sound Eagle, thank you for your kind words and comments. I also want to wish the best for you for this year of 2018. I have not been as active on here as I would like. The every day challenges and so little precious time have taken me away from my creative endeavors more than I would have liked. I agree with the points you have brought up, they are valid and important. Hopefully further research and education will give us a better understanding of our violent natures, urges and tendencies. I don’t know if it is possible to learn empathy, as higher functioning creatures, I would think we should be able to, but there are so many other contributing factors. It may just bean inevitability that we must live with. I appreciate your comments and observations concerning my post,”I Knew A Man”. I will be sure and check out both of the posts you mentioned. I really appreciate your thoughts. That piece has been controversial, some people I don’t think were able to get the point that I was trying to make. At least I got them to think, Thanks again. Hello prior..! Given the time of the year, just before January ends and February starts, SoundEagle would like to wish you, somewhat belatedly, all the best that 2018 can bring with a very special poem published in the post entitled 🎊 Season Greetings from SoundEagle: Merry Christmas, Happy New Year and Joyful Holiday 🎄🎅⛄. Since you like soothing music, you will be pleased to find that there are more pieces of musical compositions ready for you to enjoyed thoroughly at 🦅 SoundEagle in SoundCloud: Art, Music and Compositions about New Sensations, Love, Life, Country, Nature, Dreaming, Meditation and Spirituality 🏞🎼🎶, which is a post as “original and artsy” as this “About” page. I enjoy the depth, magnitude and comprehensive valuable stuff in your work. What ever one chooses to read or find it’s all there. Thank you for what you do and for finding The Daedelus Files. WOW! This is not a website, this is an EXPERIENCE! So happy you stopped by my blog which is pretty boring compared to this fantastic place. Feeling it! Love the music too. Hello Catherine! As the festive season is drawing to a close and February is just around the corner, SoundEagle hopes that you have had a wonderful time celebrating the dawn of 2018 whilst having a great holiday with your family and friends. Wishing you, somewhat belatedly, all the best that 2018 can bring with a very special poem published in the post entitled 🎊 Season Greetings from SoundEagle: Merry Christmas, Happy New Year and Joyful Holiday 🎄🎅⛄. Thank you for your visit and compliment, and for being observant about, and receptive towards, the presentational and experiential aspects of SoundEagle’s “About” page, beyond what its diverse contents convey about this website being a garden of art, science, poetry, music, video, graphics, cartoons, animations, games and puzzles in a beautiful, dynamically syndicated press containing posts, buzzes, events and social media updates. Hence, SoundEagle has good reasons to be truly delighted by your regarding this “About” page to be an “EXPERIENCE”, to use your own word. Also comparable in quality, expanse and “EXPERIENCE” reaching “the depth of real sensory stimulation” is the most recent post, aptly named The Quotation Fallacy “💬”, which can firmly constitute excellent food for thought as well as a splendid guide for living a more examined life. May you find the post as enjoyable as it is edifying! SoundEagle would also like to wish you many great satisfactions and wonderful fulfilments in all of your creative ventures and literary endeavours, regardless of the genres in which you choose to write and publish. Your page is so beautiful! I have enjoyed my visit… I would love such an artistic mindset to be apart of my next STEAM event. Would you be interested? Happy 2018 to all of you at pinkleaderboard! SoundEagle appreciates your taking the time to visit and comment here, and delights in your perceptiveness towards beautiful styling of webpages. Thank you for mentioning your next STEAM event. Could you please kindly explain to SoundEagle about the event? Hello Cheryle! Now that it is April, SoundEagle🦅 would like to reciprocate your love and light with another “visual and auditory feast” in a special multimedia post at 🦅 SoundEagle in April Love and Dove, Art and Heart, Game and Puzzle, Music and Video 🕊💌💘. Please enjoy to your heart’s content! Hi Lady G! You are cordially invited to celebrate the month of April in a highly multifarious approach at 🦅 SoundEagle in April Love and Dove, Art and Heart, Game and Puzzle, Music and Video 🕊💌💘. A very warm welcome to Raili from Soul Gifts! Thank you for visiting to take a quick look and leaving here with a terminator-like vow to return with a grand entrance and proper inspection. With the blessings of your goodness, SoundEagle🦅 can earnestly look forward to our forthcoming interactions in this blog that is something else, in this other universe, or Willy Wonkaland, as you put it! SoundEagle🦅 hopes that you are doing and feeling reasonably well in the knowledge that you are still ‘off the air’ spending your first ever voluntary time out with family in Victoria as you farewell your brother-in-law. Thank you Sound Eagle. We have just returned home from a week of tears, love and laughter, as is always the case when saying a sad goodbye. And yes, we did have a quiet Valentine’s dinner on the road home in our motel at Ballarat. Hi Mathias! Please kindly be informed that your blog is still not accepting comments when SoundEagle🦅 attempted to communicate with you at your post entitled “Token of Humanity (Sharing https://dreampack.org/2018/03/02/token-humanity-march-2018/)”, where you forward the Token of Humanity to SoundEagle🦅, who is honoured to be one of your eight chosen blogger friends to receive the Token. Reciprocating your good spirit and admirable gesture, you are thereby cordially invited to join SoundEagle🦅 on a special journey along which to further our spiritual growth and consolidate our wisdom, as facilitated by a careful and thorough reading of the motivational, existential, analytical and philosophical post entitled “🦅 SoundEagle in Best Moment Award from Moment Matters 🔖🏆”, which is now much extended and further improved since you last visited and read it. Furthermore, given the time of the year, SoundEagle🦅 would like to wish you a very Happy April with a thematic multimedia post at 🦅 SoundEagle in April Love and Dove, Art and Heart, Game and Puzzle, Music and Video 🕊💌💘. Thank you very much for your kind feedback and inspiration. I don’t know why your comment didn’t come through there. But I’m delighted to have gotten your rich inspiration and gifts here. I’ve found the “Love’s forte” poem, beautiful! All the best! Hello Mathias! Perhaps changing or experimenting with your comment moderation settings may present the solution. Thank you, Mathias, for playing hide and seek with SoundEagle🦅’s poem entitled Love’s Forte, which is also available in dramatically different and sophisticated styles in two other thematic multimedia posts at 🦅 SoundEagle in Love and Dove, Art and Heart on Valentine’s Day with Gifts 🎁💝🕊💌💘 as well as Celebrate Valentine’s Day with Romantic Orchid Display, Art, Poetry and Game 💝🕊💌💘, the last of which even has several animated and interactive gold fish swimming around, if your web browser can handle Flash graphics. Moreover, SoundEagle🦅 is delighted that you have instinctively recognized that Love’s Forte is the poem’s title, which is only shown in the other two versions that you have not yet seen. And, always good to hear from you and your truly unique corner of the blogosphere:-). Amazing! You are very welcome, Mathias! Moreover, SoundEagle🦅 has just featured the Token of Humanity at 🦅 SoundEagle Appreciation Award 🎖, a special post containing stylized animated tributes. You can also see the Token of Humanity in the sidebar by clicking 🦅 SoundEagle’s Awards to jump instantly to a widget complete with award web links and descriptions. Welcome, Moody Moppet! SoundEagle🦅 is delighted by your visit and compliment. Given that you find the music to be “enchanting and relaxing”, there is much more awaiting you at 🦅 SoundEagle in SoundCloud: Art, Music and Compositions about New Sensations, Love, Life, Country, Nature, Dreaming, Meditation and Spirituality 🏞🎼🎶. In addition, SoundEagle🦅 would like to wish you a very satisfactory month of April with beautiful songs plus an inspiring poem hidden in 🦅 SoundEagle in April Love and Dove, Art and Heart, Game and Puzzle, Music and Video 🕊💌💘. May you find and savour the poem in the said stylish multimedia post! Please enjoy! You are very welcome! It is now the time of the year when SoundEagle🦅 would like to wish you a very special Happy April with a creative multimedia post for your utter multisensory enjoyment via your participating with 🦅 SoundEagle in April Love and Dove, Art and Heart, Game and Puzzle, Music and Video 🕊💌💘. The back ground music on this is so soothing … is that you playing SoundEagle? 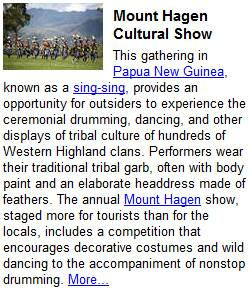 The “background music” is actually an original composition entitled “Where The Eagles Fly”, entirely played and sequenced by SoundEagle, who has now moved it to the top of this “About” page for you to access and audition it more easily. Moreover, you are welcome to visualize the composition at 🎇 Dynamic Visualization of Music as New Sensations Where The Eagles Fly: Animation in High Definition on Large Screen 💻🎼🎆. Even more SoundEagle’s musical compositions can be enjoyed at 🦅 SoundEagle in SoundCloud: Art, Music and Compositions about New Sensations, Love, Life, Country, Nature, Dreaming, Meditation and Spirituality 🏞🎼🎶. I love this! You are very talented – lovely music! A big HELLO to Craig from the land of Kiwi! Thank you for visiting SoundEagle🦅. Please feel free to explore this website to your heart’s content, and to leave further thoughts or comments on what you encounter along the way. Since you enjoy sunrise “from the First City to see the light”, perhaps you also enjoy sunset equally or even more. Bearing this in mind, let’s enjoy how sunset is musically depicted by an instrumental composition entitled The Sunset Lingers On, available in two parts at 🦅 SoundEagle in SoundCloud: Art, Music and Compositions about New Sensations, Love, Life, Country, Nature, Dreaming, Meditation and Spirituality 🏞🎼🎶. SoundEagle, you’re truly an enigma. Your blog is a window into your creative mind, but still you’re able to withhold enough to leave me wondering. There are so many questions that I won’t even begin to ask. Now I’m off to dig deeper into your blog.